Cherry Mobile Cosmos Two offers premium LTE smartphone experience in an affordable price. It comes with a stunning curved-glass HD display and more at Php 5,499. 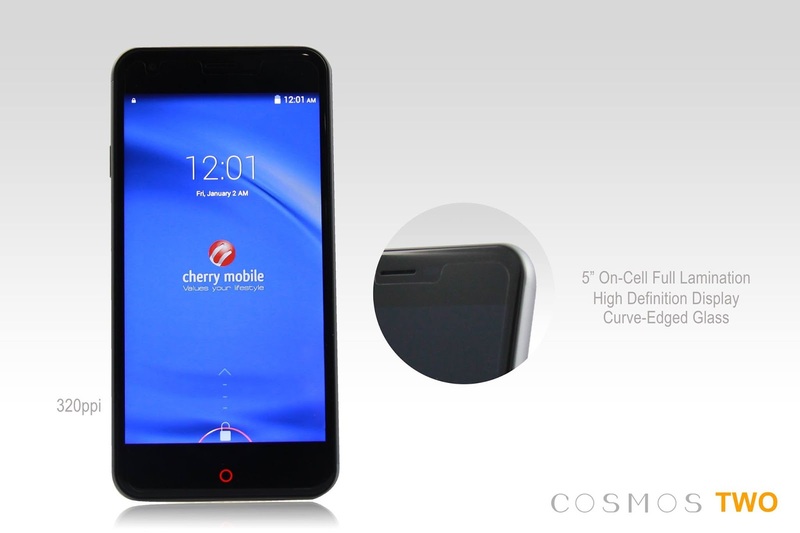 Cherry Mobile Cosmos Two is the official successor to the popular Cosmos One handset released last year. The local company is trying to maintain the premium feel of its high-end Cosmos series; however, due to the massive demand for value-for-money handsets, the company offers this svelte smartphone at Php 5,499. The Cherry Mobile Cosmos Two still packs premium specs sheet despite being in the sub-6K category; and what's more note-worthy about this device is the fact that it comes with a 4G LTE connectivity. Yes, you heard it right; it puts a shade to Cosmos Force which has a Php 6,999 asking price. This also makes the Cherry Mobile Cosmos Two one of the cheapest LTE smartphones rivalling the MyPhone Rio LTE in the same price standpoint. There's also the 5-inch touchscreen which is treated with On-Cell Full Lamination framing an almost Retina-grade pixel density of 320 ppi. The Cosmos Two also features a curve-edged glass display like the iPhone 6 and iPhone 6 Plus this adds a premium feel in swiping and interacting with the screen's glass panel. 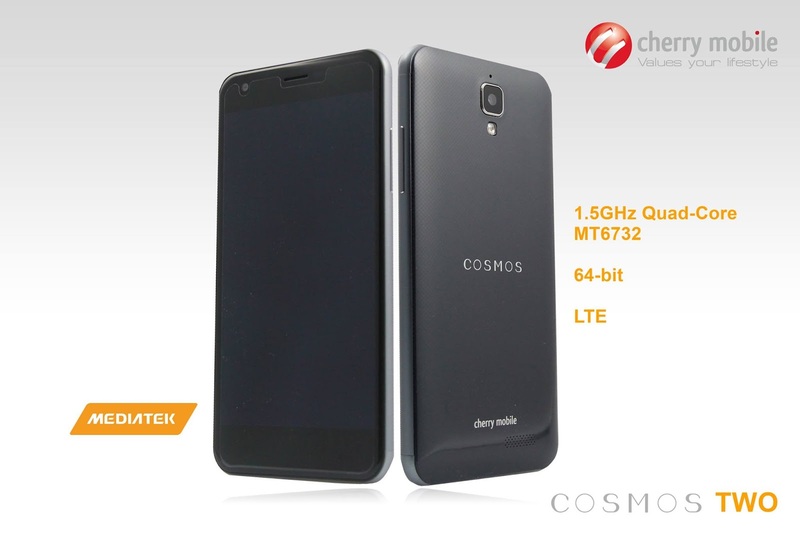 Specs-wise, the Cherry Mobile Cosmos Two comes with a MediaTek MT6732 chipset. It has a 64-bit quad-core processor running with 1.5-gigahertz speed. 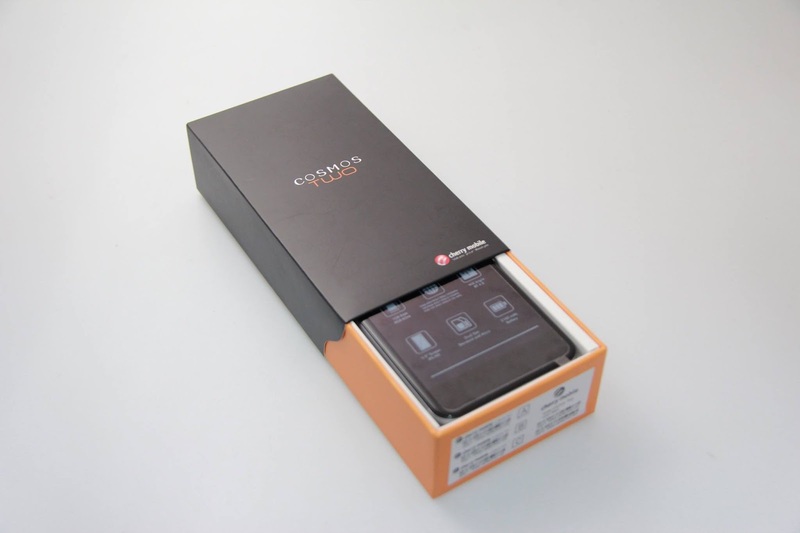 The device comes with 1GB of RAM and 8GB of native memory which is expandable up to 64GB. There's also the USB-OTG feature which is starting to be a standard for an Android phone these days. In terms of camera, the Cherry Mobile Cosmos Two boasts the 14-megapixel rear camera which is coupled by a 5-megapixel front camera. The 2100 mAh battery will keep everything rolling hardware-wise. Lastly, the Android 4.4 KitKat comes out of the box.